INSP. BY PRONOVIAS DAUCO: I absolutely loved it!  Thank you again for the amazing dress. As you can see from the pictures, I absolutely loved it! 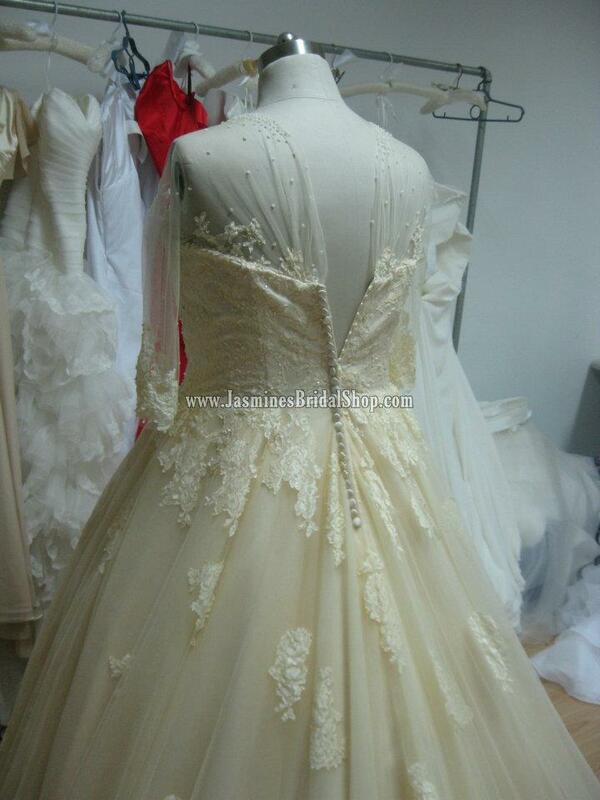 (especially the back detail... it is so unusual, detailed and elegant!). It was inspired by a Pronovias dress but this one had an altered neckline to make it look more vintage and is the colour is light champagne. Absolutely beautiful colour! 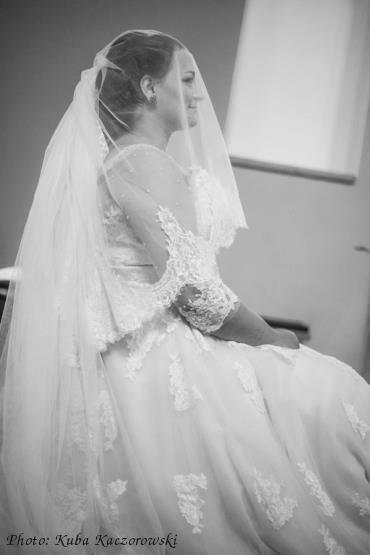 The veil was also beautiful and matched the dress perfectly. Both the train and the veil were really long and I loved it! The dress was not only beauiful but also quite comfotable and I think also fitted my figure. It does not look like one of those regular boring plus size dresses at all! I would recommend to all brides, choose the dress you love and not any special plus size design (almost all dresses above size 40 are difficult to find in local stores). 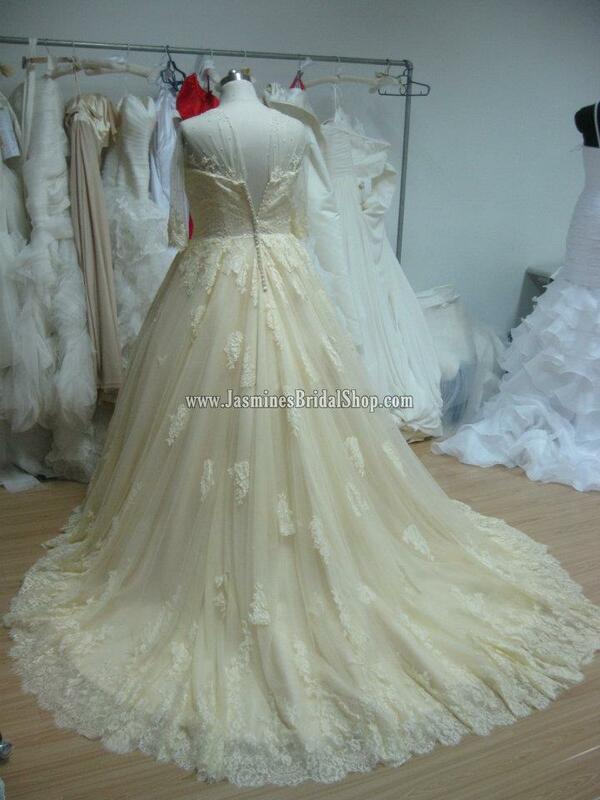 If you love the dress and it fits well/is well done then you will look and feel beautiful.